Whether you're looking to thank a neighbor for a recent favor or just want to spread some cheer, you can celebrate your community with these handmade gifts. Little presents made with love will make them feel really special and help them know you appreciate their friendship. Get your kids involved in the crafting and delivering of these gifts for a fun and simple activity! Learn how to paint these pretty little flowers. Make friendly flower cards for your neighbors and write a sweet message inside for them. Have your littles do the painting and you can do the message writing. Creative and cute- this DIY family sundae kit is the best! Who wouldn't love finding this on their doorstep? These watercolor coasters are practical and have a big WOW factor to them. Plus they are super simple to make. Have your kiddos design how they should look and deliver them to your next door neighbors! Here's a super easy gift for your neighbors that can be made in minutes. Just print out this cute saying and stick it onto your favorite bag of potato chips. Give your neighbors the gift of relaxation with this DIY coconut oil salt scrub. It smells diviiiiiiine and is something everyone will love receiving and so easy to make yourself. Who doesn't love a handmade gift?! 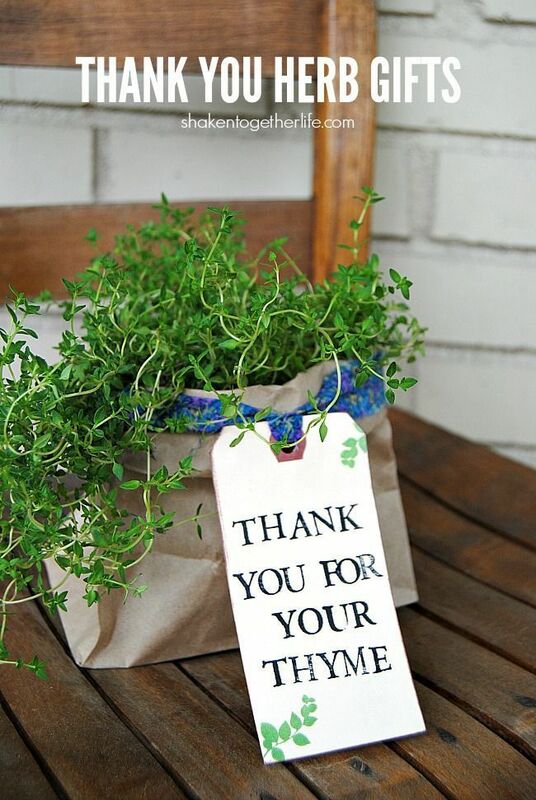 Say thank you for being a friend with this adorable and useful herb plant! They will be able to grow and use their own herbs with your DIY gift. Sending homegrown flowers to a neighbor is a nice gesture―but what happens once fall comes along? Preserve your dying plants in the fall and turn them into a sweet-smelling bowl of potpourri for your neighbor to enjoy all year long!